This tour starts and ends in San Francisco and includes the best parts of THREE other tours: Peaks & Passes, Best of California and what we previously called California Contrasts. 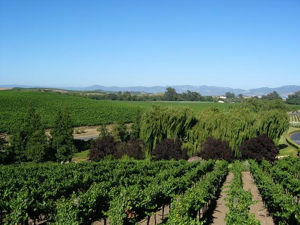 This tour includes fabulous roads and destinations in California's famous wine country the Sierra-Nevada mountains and the most famous part of coast highway 1 including Big Sur and Monterey.This tour includes more diverse geography than any other as we ride from the coast to the inland valleys and the beautiful vineyards to the central valley with amazing agriculture to the Sierra Nevada Mountains. Along the way, we'll ride alongside beautiful Lake Tahoe, cross the Sierras on Carson, Sonora, Monitor and Ebbetts passes and ride into the amazing scenery of Yosemite Valley and Kings Canyon. If you would like to arrive earlier or stay longer, we can assist you with accommodations and travel arrangements. We'll head north on twisty highway 29 towards Clear Lake. The roads are challenging and fun as we near the San Joaquin Valley. The agriculture here is very diverse, from nut tree orchards to rice paddies. We'll cross the valley and continue east into the Sierra-Nevada foothills. Our destination is the quaint community of Downieville on highway 49 (named for the gold rush miners of 1849). We'll continue east on highway 49 and ride a high alpine loop before turning south towards beautiful Lake Tahoe. We'll stop in historic Truckee before having lunch alongside the lake. After lunch we'll ride the scenic west side of Lake Tahoe to our destination in South Lake Tahoe. We'll drop down to the east side of the Sierras via Kingsbury Grade, then ride over scenic Carson Pass into the western foothills. There are several fun roads and historic places we can explore on our way to the historic town of Jamestown on highway 49 in the Sierra foothills. This is the perfect place for a relaxing day off the bike for those who want a little downtime. Jamestown is very quaint and there are several places nearby worthy of a day's exploration including historic Columbia State Park, Railtown and the town of Sonora. For those who want to ride, we'll spend the day in the mountains riding across the Sierras on tight and twisty Ebbetts Pass, then Monitor Pass and do the return to Jamestown on the higher speed Sonora Pass. We'll continue south on highway 49 before turning east into Yosemite National Park. 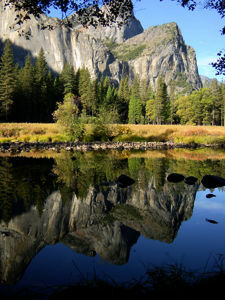 The natural beauty of Yosemite Valley is amazing! We'll ride up to Glacier Point for a fabulous view of the valley and a casual lunch. After lunch we'll ride into the central valley east of Fresno and end the day back up in the mountains at Grant Grove near the top of Kings Canyon. At Grant Grove, there's an impressive stand of Giant Sequoia trees that have to be seen to be believed. We'll ride to the bottom of Kings Canyon for breakfast, then its more fun roads near Sequoia National Park. We'll ride very twisty Highway 190 (known as the Mighty 190!) over the great southern divide in the southern Sierras to the town of Kernville near Lake Isabella. We'll follow the Kern River to the central valley near Bakersfield, then it's more fun roads over the Temblor Mountains to Paso Robles on historic El Camino Real. We'll ride through Paso Robles wine country before riding the most section of CA Hwy 1 along the coast to Big Sur. This is often said to be the most beautiful union of land and sea anywhere in the world. After lunch, it's on to Monterey where we can take a side trip to the famous race track, Laguna Seca if anyone is interested in seeing the "corkscrew". We'll ride around Monterey Bay to Santa Cruz before heading to the fun roads in the Santa Cruz mountains for lunch at Alice's Restaurant (you can get anything you want at Alice's restaurant ....). Then it's back into "The City" (San Francisco) to end a great ride and say goodbye to new friends. What a great 10 days of motorcycling!